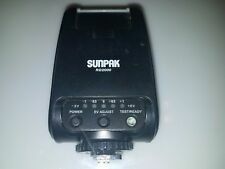 This is an Olympus UFL-1 underwater flash. It is not new, but appears to have never been used. I will answer them to the best of my ability. Excellent working condition. 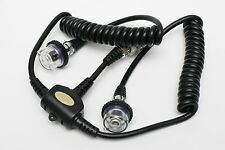 This Sea&Sea dual 5-pin TTL sync cord is used to connect a Nikonos camera or a housing with a Nikonos style socket to two YS series strobes.Can not be used with YS-20 and YS-60. YS Mount Strobe Adapter & Fixing Bolt. 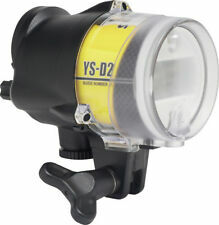 Sea and Sea YS-D2 Underwater Strobe with Free i-Das Optical Cable. - YS-D2 Strobe (Made in Japan). - Ball Mount Strobe Adapter. Free i-das OC-01 Optical Cable ! Sea & Sea YS-90DX, YS-90, YS-110, YS-110a, YS-120 Strobes Battery Cover. Unused. Sea & Sea YS-90DX, YS-90, YS-110, YS-110a, YS-120 Strobes Battery Cover. COMPREHEND WHAT THEY ARE PURCHASING. CANADA ARE "THE REST OF THE WORLD". IT IS UNDER THE "THE REST OF THE WORLD". We WILL NOT claim your item is a gift. Sea & Sea Underwater Strobe Yellow Sub 50 TTL Motor Marine MM-II. Tested. Ex.